Less than 100 days before Ant-Man and the Wasp hits theaters, it appears that the MCU film next in line for box office superiority, following Avengers: Infinity War, of course, has entered reshoots. Does Marvel Studios ever stop to take a breather? Apparently not, according to Italian outlet BadTaste.it, who recently reported that Peyton Reed’s sequel is currently undergoing reshoots in Los Angeles. The article cites an anonymous source close to the film, who says the reshoots involve, amongst other things, replacing the opening sequence, which is set in South America and evidently did not go over well with test audiences. With a little over three months until Ant-Man and the Wasp opens on July 6th, reshoots for a blockbuster of this caliber are to be expected. Especially when considering Marvel Studios can utilize the facilities and crew members of Captain Marvel, which just started production in Los Angeles this week. As such, we’re confident in saying that there’s nothing to worry about here. Inevitably, with the production of Captain Marvel and Ant-Man and the Wasp reshoots taking place in the same vicinity, rumours that a crossover will occur between the franchises increases significantly. Nothing is out of the question with Marvel, especially a cameo or two. Not to mention that the fan theory that Captain Marvel is set in an alternate timeline provides ample opportunity for the diminutive hero, his counterpart, and others, to jump between universes, and vice versa. Next month’s release of Avengers: Infinity War will provide much needed insight into how the future of the MCU is shaping up, of course. But until then, there’s not much we can do except speculate, something that fans will have no problem complying with. However, given Thanos’ ability to irreversibly alter the MCU, our speculation might be even more futile than usual. 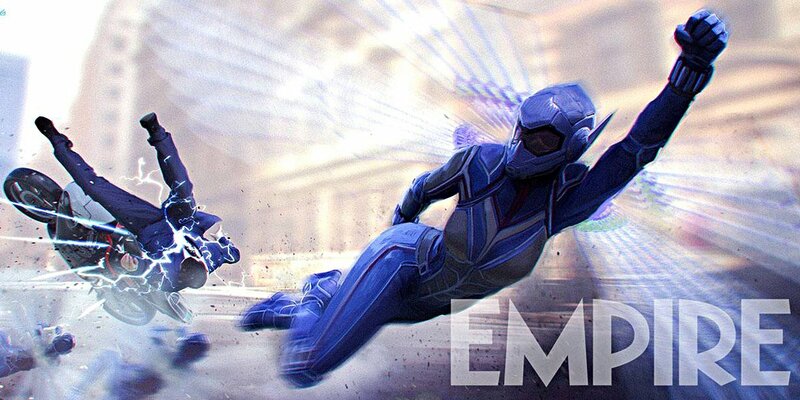 Either way, we’ll know much more about what to expect once Joe and Anthony Russo’s aforementioned event movie drops on April 27th, before Ant-Man and the Wasp crawls into theaters on July 6th.